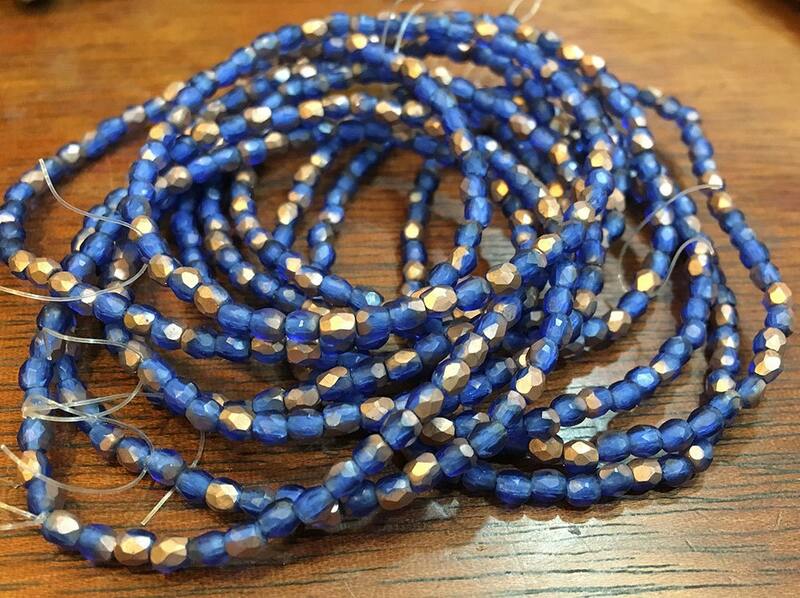 Sapphire Copper Matte Czech Glass Firepolished Crystal Beads 3mm. One strand of 50 sapphire copper matte two toned Czech fire polished crystal beads. These beads measure 3mm. Add some sparkle to your jewelry creations! I really like these beads...they're not a color that you can find readily.